"Without question, one of the greatest communicators of our generation is Judah Smith." Explore what it looks like to cultivate a healthy soul. Find your soul’s only true home and place of rest and fulfillment: God. I am convinced that an awareness of God’s care for us is the key to emotional sanity. This is a book about being okay on the inside. It’s a book about being satisfied, stable, and healthy on a soul level. How do you keep your inside person alive and healthy? If I asked you "how’s your soul," what comes to mind? Love hopes all things. This could save your marriage, your family, and your friendships. Just keep hoping and believing and bearing. Sooner or later love will win. Are our souls healthy? That is the question we should be asking. What is the most difficult thing in keeping your soul healthy? Following Jesus is first and foremost an internal operation. God is changing us from the inside out. He is the only source of a consistent walk and a consistent soul. Eternity is calling your soul. It inspires you to awaken, to dream again, and to take risks. 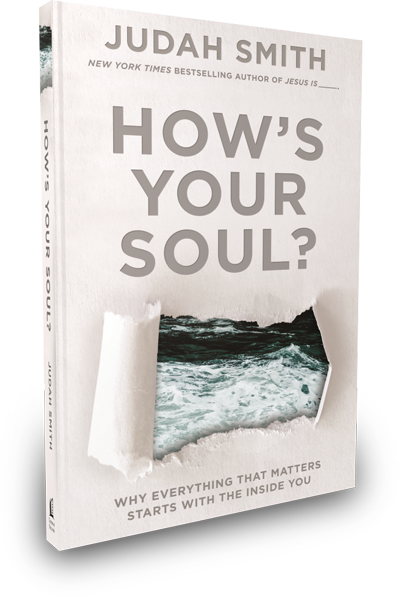 Did you buy How's Your Soul? before 11.15.16?